Must Not Exceed 1 Pound of Elemental Mercury per Container. 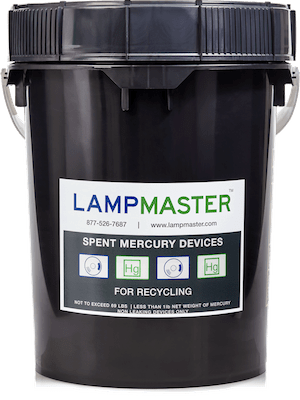 LampMaster’s Mercury Device Recycling Kits hold up to 1 lb of elemental mercury per container. 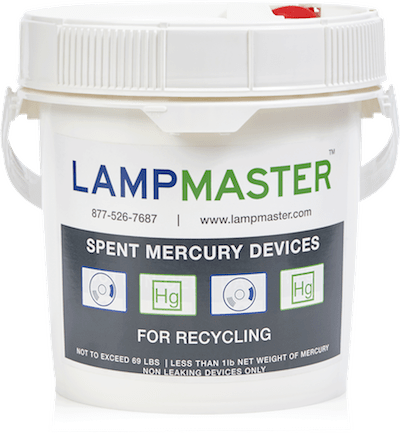 The LampMaster Mercury Device Recycling Kit 1gal is a simple, but effective way to responsibly recycle any devices containing mercury. These devices must be designated as Universal Waste (rather than Hazardous Waste) by the state in which they are collected. This will vary from state to state but some examples that meet the requirement in most states are mercury-containing thermostats and mercury-containing equipment such as thermometers, barometers, manometers, relay and tilt switches, flame sensors, etc. These requirements are strictly enforced and customers must ensure that the total mercury content of all devices is under the 1 lb net weight threshold for each container and that the materials recycled meet the standards of Universal Waste. If you have any questions as to whether your devices are Universal Waste or will meet the 1 lb net weight maximum, please contact us at salesmgr@lampmaster.com and include pictures if possible. The LampMaster team is fully licensed and certified to accept these materials, so you can be sure you are in full compliance with your state and federal recycling regulations. 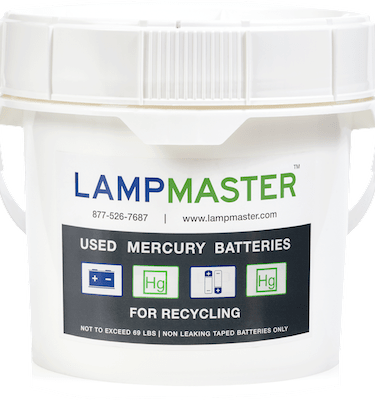 For larger mercury devices, we also offer mercury recycling kits in a 2.5 gallon and 5 gallon container.